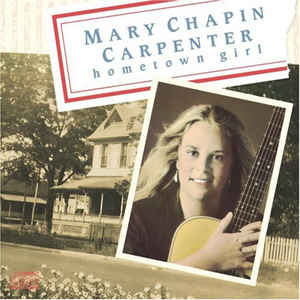 This was Mary Chapin Carpenter's much underrated, beautiful, melodic debut album. It is an album of a young girl singing the most tender, sensitive, moving and wise beyond her years songs. It is one of my favourite albums. It is more "country" than her subsequent albums, probably the most so of her output, but certainly is different from the stereotypical crying in the roadhouse over your divorce and unfaithful, feckless husband sort of fare. 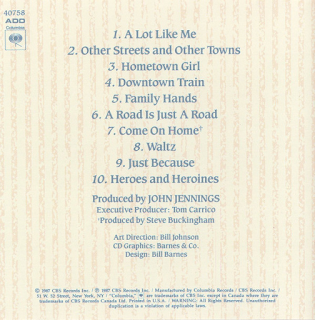 While it was recorded in Nashville, it is not your typical Nashville album. It is based around the expected acoustic strumming guitar and some fetching violin breaks, with some electric guitar, but a bit less than on her later albums. All the songs are irresistibly catchy and tuneful. Mary has a real ear for a melody and a hook, and her lyrics are just so emotive, observant and you har them and just find yourself nodding in agreement with whatever it is she has just sung. "A Lot Like Me" is lively but gently romantic, while "Other Streets and Other Towns" is just a gorgeous slow country ballad, but with a real soulful twist in its delivery. The music is not all steel guitars, far from it, there are hardly any at all. The guitar solo on this song, for example, is pure laid-back rock. Mary had obviously been in love when writing this album, many of the songs are impossibly romantic. 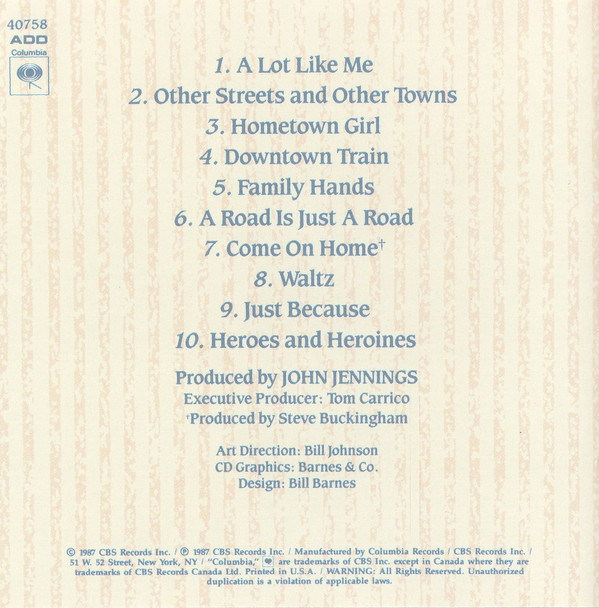 "Hometown Girl" is just lovely. Mary is, as she often can be, disarmingly self-analytical and self-critical. This is her "At Seventeen". When she starts singing this song, it genuinely sends shivers down my spine, shivers of pure emotion. It makes me extremely sad and reflective. "I was young but somehow I knew the difference between a man and a fool...". What a line. "What happened to that hometown girl...." wonders Mary, already mature beyond her tender years, already looking back. The past is always Mary's future. As is mine. That is why I love her lyrics so. By your mother and her mother - the weavers of your cloth." Wonderful. Check it out. It speaks for itself. "A Road Is Just A Road" livens proceedings up, name checking many US towns along the way. It is a vibrant piece of country rock, and is another of my favourites. I have always found the last few songs on the album not quite as jaw-droppingly good as the first six, but they are still certainly not bad. "Come On Home" is a beautiful, slow, mournful ballad with a beautiful violin backing. "Waltz" utilises a waltz beat as the title suggests, but it is a slow country waltz, with romantic lyrics and a sumptuous country violin break in the middle. "Just Because" is another slowie, with Mary's voice at its most yearning and heartbreaking. "Heroes And Heroines" is a lovely song that was effectively re-sung on 2018's "Sometimes Just The Sky". It is yet another genuinely moving number that closed this most impressive debut album from an artist whose music has uplifted, saddened and inspired me over many years.